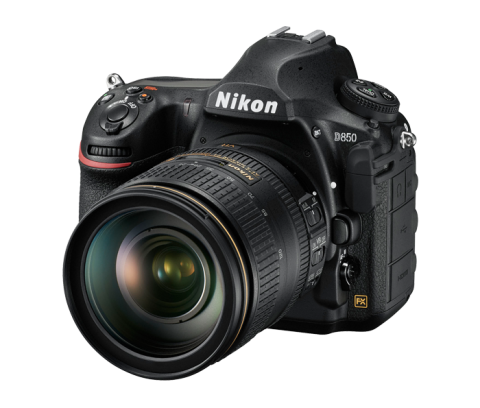 Quite possibly the best DSLR camera right now: The Nikon D850. I get lots of requests for what gear I recommend. Well, the fact is that there are lots of great options out there. If you are looking for a new camera or lens, here are some ready made “wish lists” for you to check out over at B&H Photo. These kits contain everything you need to get jump-started in photography, including cameras, lenses, tripods, filters, and accessories. Many of the items in each kit are optional, so check your needs (and your budget) accordingly. I recently purchased a 27″ Apple iMac and I love it. Read my iMac review here. For those of you who are interested in the Fuji Mirrorless system, here’s a good collection of lenses and accessories. Of course, what’s the point of buying gear if you don’t get out and use it? Check out my workshops and online classes! I am a birding enthusiast and in the market for a pro type birding lens. I was pretty set on getting the Nikon 500 F4 (USD 8,500), but I am getting more and more exited about the new 400 F2,8 FL (USD 12,000). I currently use a Nikon D810 (full frame) and a D7100 (1.5x crop) with the new Nikon 80-400, which works great for me when there is ample light and the subject is fairly close. I also have the Nikon TC-14-III and the TC-20-III. However, I am not completely satisfied with my results when things get somewhat more challenging. My thinking is that the 400 F2.8 FL would provide a lot of flexibility together with the cameras and TCs I already have, rather than opting for the 500 F4. I am not too worried about the price difference, as I will only get one lens, and what is really important to me is that I get the right one. The weight of the two lenses are basically the same following the recent update of the 400 F2,8. The 500 F4 will also be updated in the relatively near future with FL coating and most probably lesser weight, but who knows when, what and at which price that will be. My main concern is really whether I will get the same (or better) result with the 400 F2.8 + TC-14 III, as I would with the current 500 F4. If that is the case I will go for the 400 F2.8. Any thoughts from someone that has been using these kind of lenses for decades would be most appreciated. Thanks for the comments and feedback. That new Nikon 400/2.8 sure looks like a tempting beast! I agree with everything you say. For me, it comes down to the fact that I just don’t have $12,000 lying around to use on a lens. If I were in your situation, I’d consider renting the 400/2.8 first just to see how well it works. $12k is a lot of money to spend on a lens, and unless you’re using it frequently, or getting paid to do so, it can be hard to justify. I was able to get the 500mm lens for what I sold my 600mm VR for, so for me, the math made sense. Hi Jason. I have just bought the Nikon D810 and I was wondering to upgrade my infrared shots by converting my current D3 to infrared to get the most of my 3 tilt&shitf lenses, since it is difficult to get accurate focus with my old D70 already converted to 720 filter. I got a reply of life pixel telling that there are limitations on higher iso plus longer exposures, but It is not clear whteher or not this limitations applies when shooting longer at lower iso or higher iso at shorter shutter speed. On the other hand, what is the benefit of choosing the focus to live view instead of asking to adjust the focus to a prime lens, i.e. Nikon 50 mm f1.8 and use livewiew to get accurate focus withe the rest of my lenses including the 3 tilt&shift ones.? When choosing an IR camera, keep in mind that it will usually be a second body, and that you’ll have to carry it around in addition to your normal kit. For that reason, I prefer smaller bodies for IR. Live-view focusing is the way to go with IR, because lens calibrations are tricky and not universal. So unless you only use one lens on your IR camera, it’s better to use Live View to focus. I’d personally not get the super-blue conversion. It’s a one-trick pony. I’d consider getting Super Color (590nm) instead. Hi Jason – I am a hobbyist birder. I almost exclusively shoot from my kayak in SW Florida. Currently use a Nikon D7000 with a Nikon 70-200 2.8, and on occasion use the Nikon 1.7 teleconverter. This has worked pretty well but at times I am finding I need more reach. A fixed prime does not work well as shooting from a kayak is limiting without flexibility of a zoom. I am considering an upgrade to Nikon D7200 with the Nikon 80-400G VR. Not as concerned about giving up the stops on the lens as most shooting is done with adequate natural light. However, I am assuming use of my 1.7 teleconverter with the 80-400 may be problematic? Does my new planned setup work with a 1.4 teleconverter or should I realistically accept no teleconverter with the slower lens? When you put the TC-17EII onto the 80-400VR, you lose 1.5 stops of light. So the f/5.6 lens becomes f/9. That will prevent the lens from effectively autofocusing. However, you don’t need to use the TC on this lens with a DX Nikon camera, as you effectively have a 600mm lens at the long end. On the road I use a late 2013 MacBook Pro with SSD drive/16GB RAM, and I store images on a 2TB USB 3.0 external drive. It’s pretty good at just about anything I throw at it. I don’t store much on the computer itself; just the OS, Apps, and my travel LR catalog. I don’t know if it is just me but when I click on the links above to the various Kit types, it opens a new browser window on the B&H site but then it just sits with a spinning link and never completes, I use Windows 10 and Have tried three different Browsers. I updated all the links; they should be working now. I have gotten into bird photography over the past year or two. I currently use a Nikon 70-300 VR lens and a Nikon D300. Basically the lens does reach much and my D300 does not have a lot of pixels for cropping. I am hoping to sell some stuff to get the Nikon 200-500. But one thing concerns me. I basically handhold my 70-300. But I know I need a tripod for longer lenses. But I use a power chair as I can not walk much or stand very long. I have struggle using a tripod while sitting in a power chair where I can get it close enough to me to get my face to the back of the camera. What would you recommend for me in this situation? Please also note that money is very tight as I am on disability. For hand-holding on a DX body, I’d take a strong look at something like the Sigma or Tamron 150-600 models. They run about $1100. Otherwise, the Nikon 80-400 VR would be much easier to hand-hold, but it’s significantly more expensive. I am considering the 80-400 VR Nikon with the 1.4 tele-converter or the Sigma or Tamron 150-600. If I can swing the price I will go with the Nikon, but between the Tamron and the Sigma C, do you have a recommendation and why? One other lens under consideration would be the Nikon 200 – 500. Birding is my interest in these lenses. Read- see my recent articles on the 200-500. I think it’s the killer budget birding lens for Nikon enthusiasts. On DX bodies, the 80-400 is a little more flexible because it goes wider, but if birds are your thing I’d grab the 200-500VR in a heartbeat and enjoy it. I shoot with the D810 and have the D750 as a back up. For wild life I have the 400 f/2.8 VR II and recently purchased the 200-500mm. I love my 400mm but it’s not practical for hiking or venturing back country . As you said, it is highly rated and following other photographers suggestions I bought it and could not be more thrilled with it. With good technique it can be shot hand held, with a monopod I shot 1/60 sec @ 500mm into shadows and produced a crisp image. This is a great value for the $$$. My photography gear is Nikon D7200 with Sigma 150 -600mm Sports and Sigma 70- 200 F2.8 OS EX DG. I would like to know your thoughts on my gear. My thoughts on gear are simple. If you use it and are happy with it, then it’s a good choice. If you aren’t getting good photos, it’s less a reflection of your gear and more a reflection of needing more practice with the gear. Those speckles are indeed long exposure noise, similar to hot pixels. If they are really bad, long exposure NR will fix them. Of course, it does so at the expense of doubling the total exposure time. Depending on the situation, you may not have time to include long exposure NR in your shots. I usually just clean up any bad ones using the spot healing brush in Lightroom or Photoshop. I’m afraid that camera came out after I published my book. I’m sure there’s some similarities, but I’m not personally familiar with the AW1. My gear for birds in flight is a Nikon D750, Nikon 200-500 f/5.6, Wimberly 200 gimbal head. I am 6′ tall. Would the Gitzo GT3532LS provide enough stability for this setup? I didn’t see any tripods using your two birding links to B&H. What would a cheaper alternative to the Gitzo be for this setup? Thanks, and keep up the great work. It’s much appreciated! The current Gitzo 3-series tripods are more than sturdy enough for that rig. I’ve used a 600mm with mine. For less expensive options, you could consider Induro or Oben tripods, too. The model numbers change frequently, so it’s hard for me to keep up with them! I’m not familiar with the specifics, but it looks like an excellent camera. Frankly, just about any newer interchangeable lens camera (DSLR or mirrorless) will be excellent for landscape photography. Hi Jason, I’m about to take the plunge on a new or used laptop for downloading images, light to medium editing (Elements) and file storage to an external drive while on the road. Are you still using your late 2013 Macbook Pro on the road? Any thoughts/comments on a 13″ vs 15″ monitor? Thanks Jason! !